Last year, The Interlace beat hundreds of iconic buildings from around the world to clinch the prestigious World Build­ing of the Year title, which is considered the highest accolade in architecture, otherwise known as the architectural Oscars. The project was lauded as a trailblazer for its bold, yet community-centric design, as well as its top-notch green features. Here are 10 things about The Interlace, that make it a one-of-a-kind development, well-deserving its world-class status and prominence. 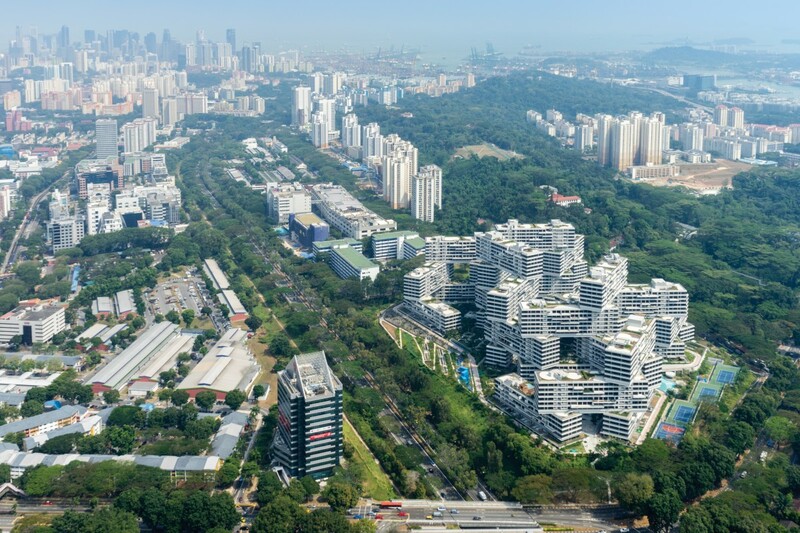 The Interlace journey began in 2007 when a Cap­itaLand-led consortium acquired the site through a collective sale. Formerly known as Gillman Heights Condominium, the site’s outstanding attributes presented a unique opportunity to create a bespoke development. The site sits atop a hill in a private enclave nestled within a 10-kilometre stretch of unspoiled greenery, the Southern Ridges. At the same time, it is a mere 10-minute drive to prominent nodes including the Central Business District, Buona Vista growth corridor, HarbourFront office and retail belts, National University of Singapore and Sentosa. To realise the site’s full potential, the developers partnered Office for Metropolitan Architecture (OMA) and internationally acclaimed architect Ole Scheeren who is renowned for his bold, sometimes provocative designs as seen in his project repertoire including the China Central Television Headquarters in Beijing and the floating auditorium on Nai Pi Lae Lagoon in Thailand. The Interlace sits atop a hill in a private enclave nestled within a 10-kilometre stretch of unspoiled greenery, the Southern Ridges. As in other major cities, plain-vanilla buildings dominate the Singapore skyline for practical reasons. The Interlace could have been built as 12 isolated towers. However, Scheeren wanted to break the status quo and took a radical approach to “topple” the towers, making the vertical, horizontal. Taking a leaf from the hillside villages of San­torini in Greece, Liguria in Italy and Al Hajjara in Yemen, OMA/Scheeren unveiled their formal design for The Interlace on September 4, 2009, which featured 31 interlocking super blocks, stacked on top of one another in a dramatic form.